I have a passion for helping people. 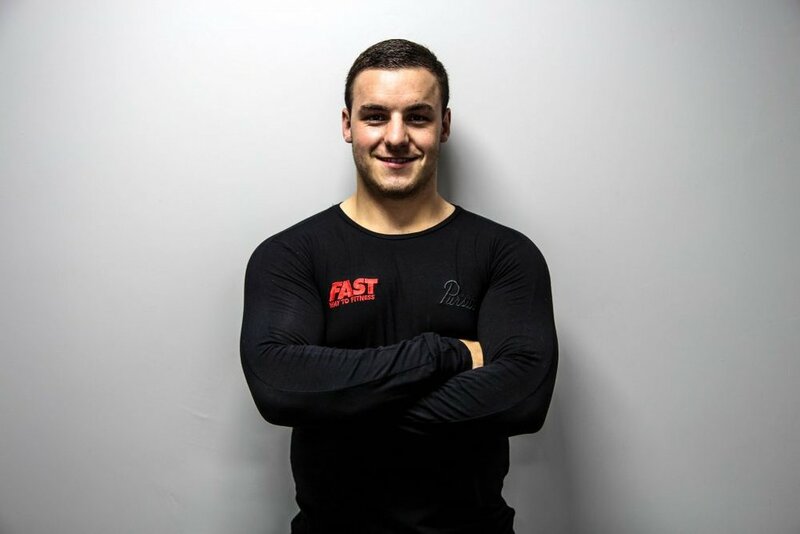 Especially helping people who were good at something and wanted to get to the next level, therefore I went and studied Sports Conditioning, Rehabilitation and Massage in Cardiff Met University and pursued the strength & conditioning industry and done an internship with the Welsh Rugby Union. Once I had completed University, I found myself in a position where I had all the skillset and knowledge to get the job I desired, unfortunately I wasn’t able to get a graduate job straight after university and got a job answering 999 calls to pay the bills and hated it. I was this guy that was always going to the gym, on my feet all day and being really active to a full time 40 hour job that meant I was sat down all day watching a computer screen and it felt like a slow releasing poison. It payed the bills but I put weight on, I had back pain, my posture was suffering, I became lazy and I felt like all the knowledge and skills I learnt in University was going to waste. I found people came to me about their problems and injuries. The more people I helped, the more that came to me. I felt like a wizard and had great satisfaction from helping people, this is when my love for helping people was surfaced. Throughout my life I’ve always had excess weight and being sucked into a revolving door without an exit of dieting and binging, I’ve tried all the latest trends from no carbs to counting macros. I lose weight, I later put it back on and its always been a constant yo-yo in my life. My mum is the most inspiriting person I know, she’s a self employed hairdresser and has acted as a mum and a dad throughout my upbringing and worked all the hours to provide the things I’ve wanted in life. I didn’t think anything of it when I was younger, I’ve watched my mum wake up at 6am every day and working straight through to 9pm for longer than I can remember. Therefore, I’ve had a major insight to her working long hours whilst taking little breaks, sleepless nights, injuries that have occurred (ranging from tennis elbow to lower back pain) and the normal day-to-day struggles. Because of what my mum had gone through, I set out on a mission to fully understand the biomechanics and day-to-day struggles of people within the hair & beauty industry and how I could help solve those problems. I found that people within the hair & beauty industry all naturally adopted the same mechanics and posture which led to the same symptoms, pains and solutions to fix them. Well… Throughout my time in University I learnt about posture analysis and studied movement mechanics etc. As weird as it may sound, subconsciously I could find issues with people as they walked past in town within the matter of a few seconds just by the way they walked or moved. We’ve all been in a hairdressers or a beauty salon at some point (even me, shhht let’s keep that on the down-low). I naturally pick these things up, but when you have to wait a while to get a haircut you either play on your phone or watch the barber/hairdresser, so I slowly began to learn the ways they moved, the natural positions they adopted and found the most common struggles they came across. Once I found all of this out I began to question my mum and sister about their actual struggles and any struggles they knew of that happened to their friends within the industry. Want to know what the 5 common struggles in the Hair & Beauty industry? Click the link and I’ll send it you! Through years of education and training I have found that every action has an equal and opposite reaction (Newtons 3rd Law). Using my strength and conditioning expertise I have devised my programme Inner Strength & Physical Conditioning which promises to improve posture by working along side one of the UK’s leading chiropractors to do a full posture analysis which sets the baseline of a fully customised programme. Not ONLY does the programme offer that, but it also promises 2-3 stone loss in just 12 weeks AND improves confidence and self esteem through active coaching! The success I’ve had over the years have been overwhelming, although clients have achieved fantastic results, the greatest success I found are from the ways the clients benefits from the results. 10 Week Strength and conditioning programme on a 20 year old female equestrian with scoliosis. Second success wasn’t a client as such, he was a 50 year old male which also had scoliosis. However, he had an anterior and lateral case of scoliosis. He approached me saying he was in physical pain, especially trying to put his socks on in the morning, it took him 30 minutes every morning to put his socks on he was in so much pain. After a slightly more in-depth informal chat, I gave him a number of exercises to do and a couple weeks later he gave me told me how he got on. Jamie came to me saying he was starting his new job soon, unfortunately his new job had a weight requirement, he was 12lbs over. Our mission was to get Jamie below the weight requirement. Within 30 DAYS Jamie managed to lose 1 stone (14lbs) of fat! Which subsequently meant he was 2lbs below the weight requirement for his new job.